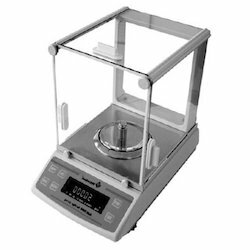 Our range of products include refrigerated circulating bath, digital ultrasonic cleaner, weigh bridge conversion kits, digital pipettes, digital rotational viscometer and dissolved oxygen meter. 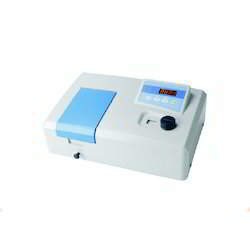 Refrigerated Circulating Bath is widely used in Petroleum, Chemical, Electronic Instrumentation, Physics, Chemistry,Bioengineering, Medical and health, Life sciences, Light industry food property testing and chemical analysis, researchdepartments, universities, enterprise quality inspection and production departments. 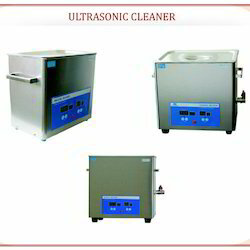 Because of our colossal data and certainties of this space, we are instrumental in offering best quality Digital Ultrasonic Cleaner. This offered cleaners are the most temperate technique because of its quick cleaning rate and diminished work cost. Our offered cleaner is produced using preeminent quality unfinished materials and cutting edge innovation keeping in mind the end goal to denounce our customers. 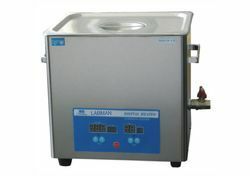 Attributable to high productive cleaning and drying with nonstop refining to keep dissolvable clean makes these Ultrasonic cleaners broadly popular. 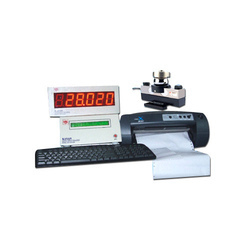 We are suppliers of Weigh Bridge Conversion Kits, Ideally a Weigh Bridge Conversion Kits are upgraded to an electro-mechanical one by fitting "S-type" tensile load cell with Weigh Indicator,intelligent terminal, Jumbo display, Printer, UPS etc. 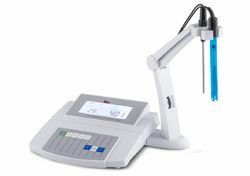 The DIGITAL PIPETTE is a continuously adjustable, General purpose pipette for sampling and dispensing accurate liquid volumes.It Operates on an air displacement principle and uses detachable, disposable tips. The adjusted delivery volume is displayeddigitally on a numeric readout window on the handle. The Seven different models of Digital Pipettes covers a volume range from 0.5μl to 5ml. 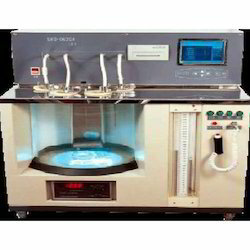 Digital Pippetes (LMPP series) is conveniences of use and simplicity of Operation Ease of Calibration and maintenance, Availability for autoclave of part of the device. A hook, disassembly tool and consumable replacement parts. 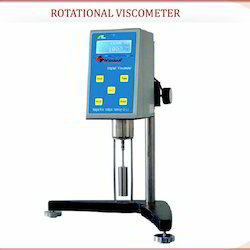 Being a quality centric organization, we are able to offer Digital Rotational Viscometer. Our offered viscometers are manufactured by our professional using quality tested components & modern technology as per the industry standards. Also, provided viscometers are checked on several parameters by our quality experts in order to deliver a defect free range. 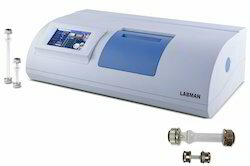 These viscometers are highly applauded among customers for its big ultra bright backlight LCD display. 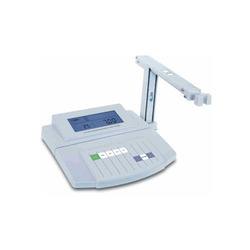 UV Visible Scanning Spectrophotometer offeredcomprisesdouble beam scanning UV-visible spectrophotometer that meets needs of professionals requiring accurate measurement. 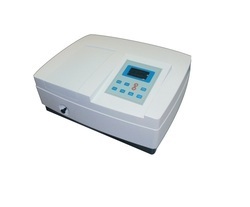 The areas these weighing units are used in include fields like biochemistry, pharmaceutical analysis, organic chemistry, life sciences and others. Some of its features include product coming designed and developed using latest technology and electronic control system for optimized working support; smooth structural design finish; provide for high weighing accuracy; quality deuterium lamp to ensure high stability and process reliability. The stray light of UV-580PC is below 0.05%T. The monochomator is totally sealed and the optical surfaces are protected with a silicon dioxide membrane. The excellent optical system and electric circuit design ensures the very low stray light. The instrument can be controlled by Wensar scanning software UV-Professional developed based on Windows® through the USB port. The software expands the function to Quantitative, Kinetics,Multiwavelength and Wavelength Scanning. In order to meet the requirements of the clients, we are providing a wide array of Conductivity Meter. 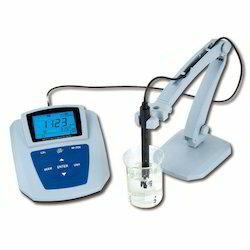 This conductivity meter is available from us on diverse specifications to choose from. Our conductivity meter is developed utilizing finest quality components and leading techniques under the supervision of experts keeping in pace with industry norms. The given conductivity meter is thoroughly inspected on numerous measures by our quality controllers so as to deliver a flawless range. 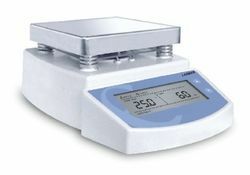 Conductivity Auto-Ranging: WCM Series Have Auto-Range Function For Measuring Conductivity. 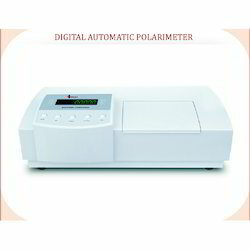 We are a trusted name in the industry that involves in offering Digital Automatic Polarimeter procured from our trustworthy vendors. These instruments find a major application in the measurement of angle of rotation and specific optical rotation. The proffered range of polarimeters is vastly applauded for its automatic measurements, greater accuracy and reliable performance. 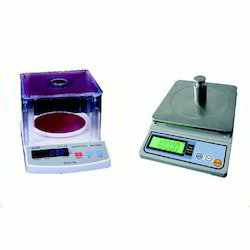 Our organization is counted among the leading traders and suppliers of premium quality laboratory Scales. The offered equipment is manufactured at our vendor’s end in compliance with industry set norms and parameters using best quality raw materials. 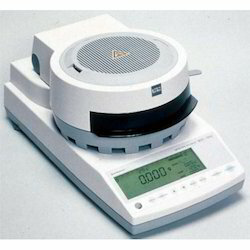 Offered equipment is appreciated for its quick weighing, accurate result and high resolution. High Resolution, Quick Weighing, Accurate Result. High frequency electrical energy is converted into ultrasound waves by means of Ultrasonic Baths, which are bonded on the base of S.S Cleaning Tank. These high frequency sound waves create in the liquid countless, Microscopic vacuum Bubbles which rapidly expand and collapse. This phenomenon is CAVITATION. These bubbles act like miniature high speed brushes, driving the liquid in to all openings and minute recesses of the object immersed and the object is perfectly cleaned. Intricate objects can be cleaned with either complete or little Dismantling. Digital Timer	15 Min. / 30 Min. Ultrasonic Cutoff	At 70 Deg C.
Dynamic (absolute) viscosity or the coefficient of absolute viscosity is a measure of the internal resistance. Dynamic (absolute) viscosity is the tangential force per unit area required to move one horizontal plane with respect to the other at unit velocity when maintained a unit distance apart by the fluid.